Get Free Produce at Aggie Compass Basic Needs Center two days a week, 11 AM – 12:45 PM. The Pantry provides non-perishable food and basic necessities such as toiletries. Students must present a valid UC Davis ID Card in order to take up to three items per day. Located in the basement of Freeborn Hall, Room 21. Pantry EFAP bags, a once monthly bag of groceries, are available to students who qualify. Visit the Pantry to find out if you qualify. Solano Park Pantry A graduate student resource, Solano Park Pantry is typically open for non-perishable food items, Monday through Friday from 12:30 – 1pm. Fresh food from the Davis Farmers Market available every Saturday. Davis Community Church Free meals on the 1st Sunday of every month from 12:00 PM. The meals are served at 412 C Street (Fellowship Hall). Davis Community Meals and Housing DCMH provides free meals on Tuesday and Thursday from 5:45 PM - 6:30 PM and Saturday from 11:30 AM - 12:15 PM. 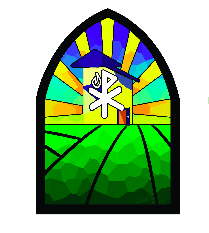 The meals are prepared and served at St. Martin's Episcopal Church, located at 640 Hawthorn Lane in Davis. EFAP bags, are monthly bags of groceries and are available to students who qualify. 10:30 - 11:30AM at Davisville Apartments 1221 Kennedy Pl. Distributes fruits, vegetables, and bread. Distribution of canned and dry goods. CalFresh provides a free debit card (EBT) for groceries, up to $193 per month, if you qualify. You can apply in-person at Aggie Compass, in the Memorial Union next to the UC Davis Market. UC Davis Farmers Market The mission of the UC Davis Farmers Market is to increase UC Davis students' access to fresh fruits and vegetables. The market is on Wednesdays on the North Quad from 11 AM - 1:30 PM. It'll begin Fall 2018 from October 3 to November 7 and will be back on the first Wednesday of Spring 2019. EBT is accepted here! Teaching Kitchens, Free Cooking Classes All cooking classes are designed with the busy student in mind. The classes provide food preparation and cooking skills, nutrition education and meal suggestions. Eatfresh.org Mini Course This course will boost your nutrition, cooking, and healthy living knowledge. Each self-paced topic takes 5-10 minutes to complete. Seasonal Produce Guide This guide can help you explore different fruits and vegetables throughout the year. Seasonal produce in your area will vary by growing conditions and weather. Fresh, frozen, canned, and dried all counts. MyPlate 10 Tip Series Build your healthy eating style and maintain it for a lifetime. This series provides you with lots of information including how to shop on a college budget, building a healthy meal and eating at the dining hall. 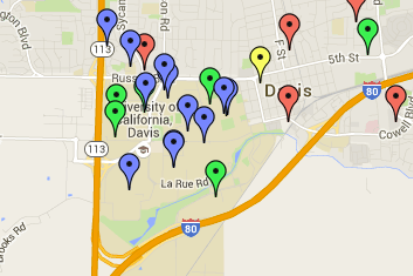 Check out this map to learn where you can find fresh fruits and vegetables within a 10-mile radius of Davis, California. 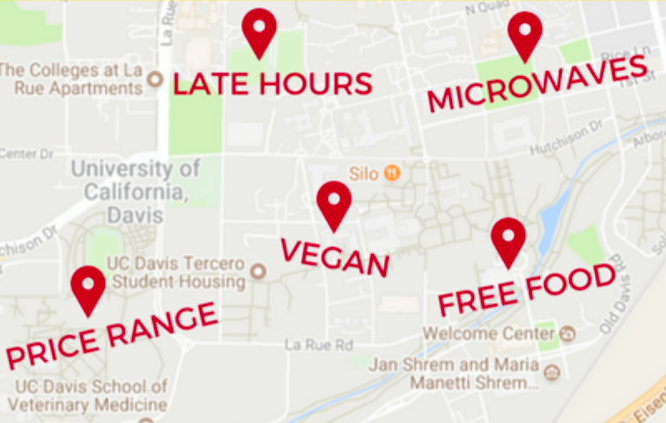 Check out this map to find food on campus that meets your needs.